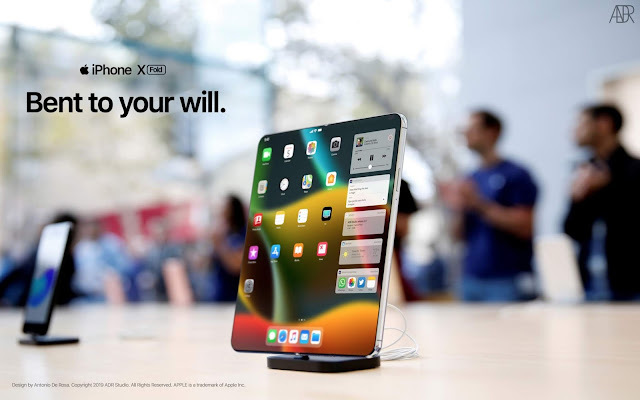 iPhone 11 coming soon. 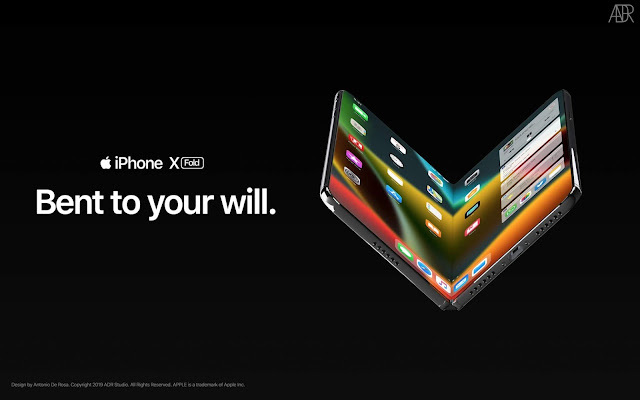 After the presentation of folding smartphones on the Android platform by Samsung and Huawei, some designers presented their vision of the Apple folding iPhone. 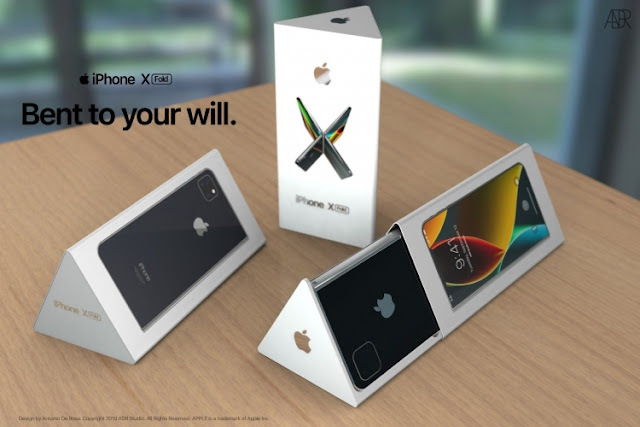 The concept is a mobile device, similar to two iPhones connected together with a common flexible screen, which is fully folded. 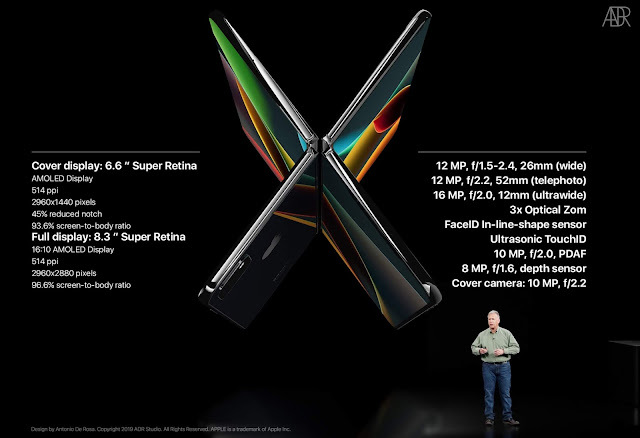 The display of this concept has a diagonal of 6.6 inches when folded and 8.3 inches when fully opened. Both formats use a Super Retina display with a pixel density of 514 ppi. 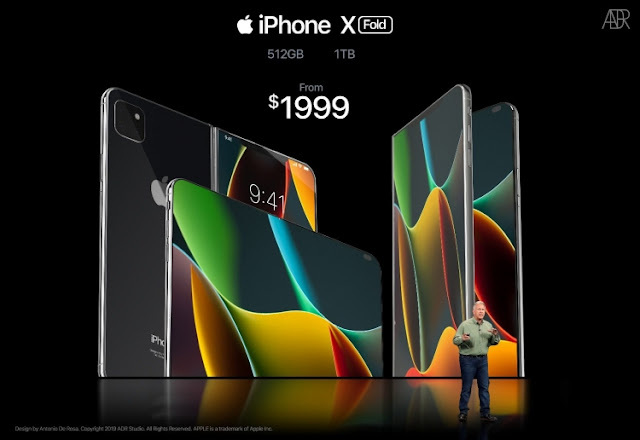 The designer also showed how iOS can be adapted to the iPhone's folding screen. 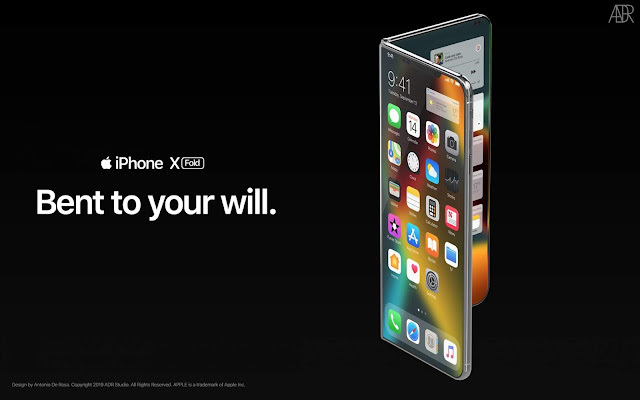 We see that several widgets have been added to the right side of the screen, which would provide quick access to applications such as Music, Weather, Siri, and others. 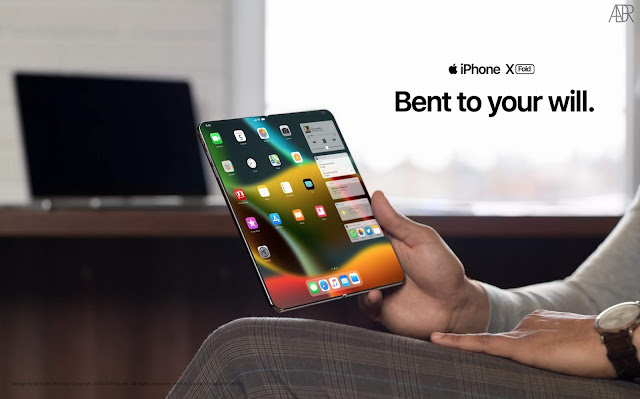 Apple has a number of patents that relate to technologies associated with folding smartphones. For example, one of Apple’s patent applications details how to prevent damage to the screen when it is repeatedly folded and unfolded in the cold.